Pola 1: 22,5. 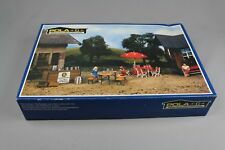 Beer garden set Beergarten set. outdoor teapot set beer. several folding chairs, beer box, barrels and spiket. In case of sending by Mondial Relay, specify as of the regulation. Ref: G1765 new content drinks a little faded. Marke Busch. 195 mm high. Suitable also for Nativity scenes. Simulation appearances with orange bench seat and back and black arms. - Enhance the appearance of your model landscape. 5 x Model park bench. - Scale: 1:30. - Material: Plastic. Perfect to enhance the appearance of your model landscape with a touch of greenery. 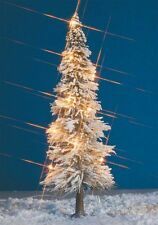 10 Pieces Model Trees. - Scale: 1/60. Size Chart - Material: Plastic. Due to the difference between different monitors, the picture may not reflect the actual color of the item. Marke Noch. Quarry stone wall made of hard foam. The stone structure of the rubble wall corresponds to the portals with the type. No. 67350 and 67360. The Friends of the Great Railway join the hard foam at their expense. These 5pcs 1:20 bathtub models are very delicate and high imitation designed and crafted. ABS plastic material makes these bathtub handy and portable. These bathtub models are great decoration for your doll house and can be used as indoor scenery model. Perfect to enhance the appearance of your model landscape with a touch of greenery. Height: Approx. 6 Pieces Model Trees. - Scale: 1/30. Size Chart Due to the difference between different monitors, the picture may not reflect the actual color of the item. Marke Noch. Roof plate beaver tail made of hard foam. The Friends of the Great Railway join the hard foam at their expense. The special feature: The rigid foam products are weatherproof and are therefore ideal for outdoor use. Height: Approx. 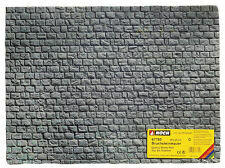 - Perfect to enhance the appearance of your model landscape with a touch of greenery. 6 Pieces Model Trees. - Scale: 1/30. Size Chart - Color: Green. Due to the difference between different monitors, the picture may not reflect the actual color of the item. This Add Is For 5 Bench Seats Only.